... and maintain employee details accurately on Payroll. Capture annual / sick and family responsibility leave on Payroll Issuing of Payslips. Processing a Payroll of Employees accurately ... on a weekly basis. Assist Employees with payroll queries. Maintain and update employee’s deductions on Payroll. 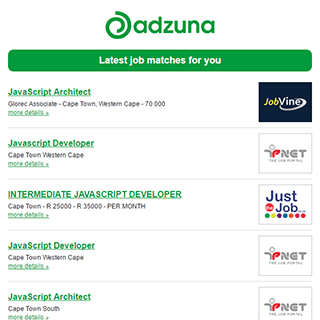 The Adzuna recency index score for this search is 0.61, suggesting that demand for Payroll job vacancies in Cape Town City Centre is decreasing. Companies presently offering Payroll job vacancies in Cape Town City Centre include Direct Channel, LabourNet, Mail and Guardian.. The largest category under which open Payroll jobs are listed is Accounting & Finance Jobs, followed by HR & Recruitment Jobs. Get the latest Payroll Jobs in Cape Town City Centre delivered straight to your inbox!